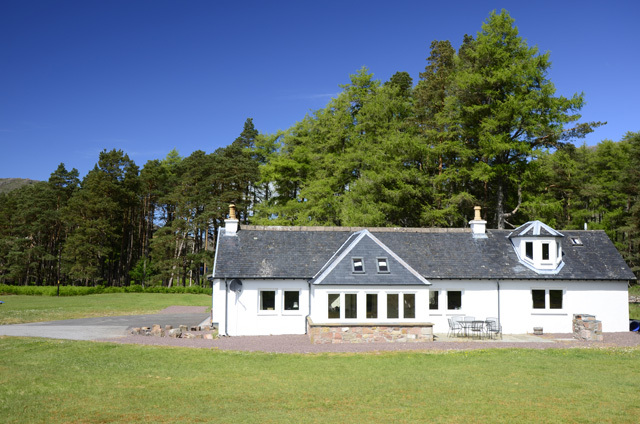 Kinloch Damph Lodge situated within The Glasnock Estate, nestles among some of the most spectacular scenery in Scotland, surrounded by deer forests and with its various lochs, the property makes an ideal retreat and makes a great base to explore the surrounding area further. 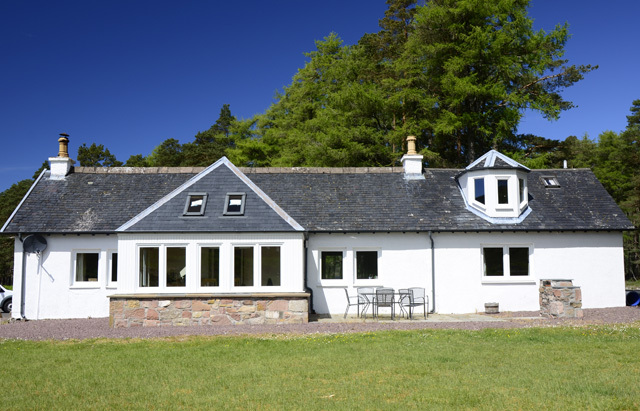 The lodge originally built in 1875 by Lord Lovelace who owned the nearby Lochcarron Estate as a weekend retreat, has recently been renovated and upgraded by the present owner. 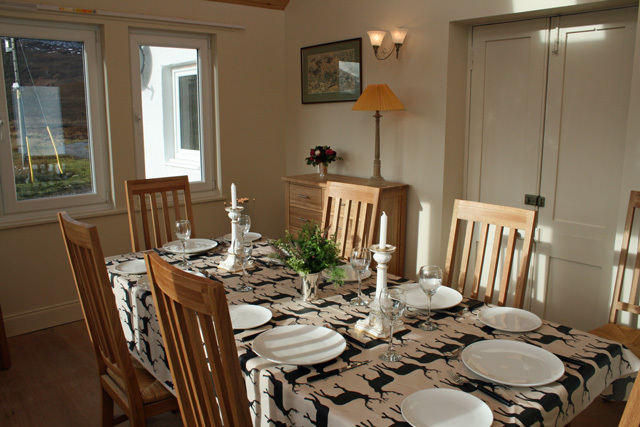 The property traditional in style has been equipped and furnished to a high level and can accommodate up to ten guests. 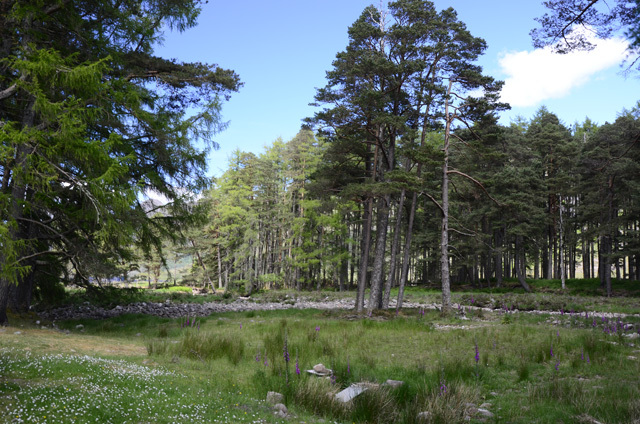 A host of activities are available on the estate, stalking, fishing, walking, bird watching, and for the photographer or painter, the surrounding landscapes and scenery are awe inspiring and would certainly make an ideal subject matter. 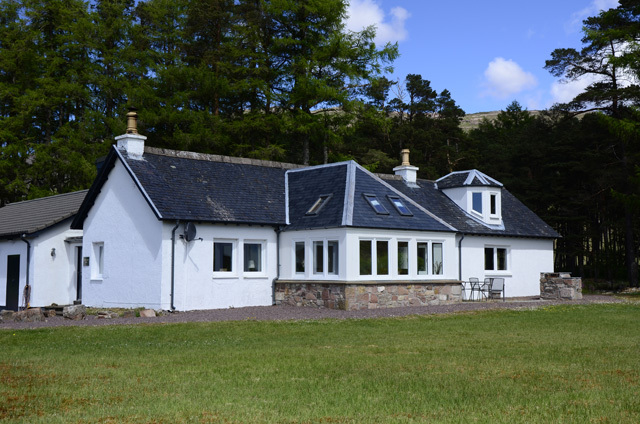 Loch Damph itself is within a five minute walk of the property, and is an ideal place to fish for brown trout, either by the shore or by boat, and the many other smaller hill lochs are also worth a visit. 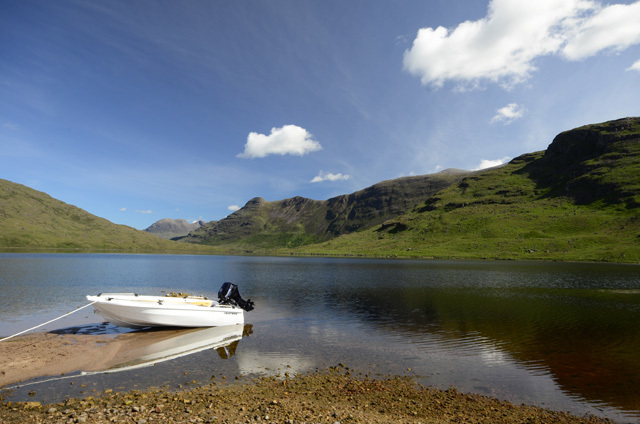 Sea fishing is also available at the nearby lochs at Kishorn and Shieldaig. 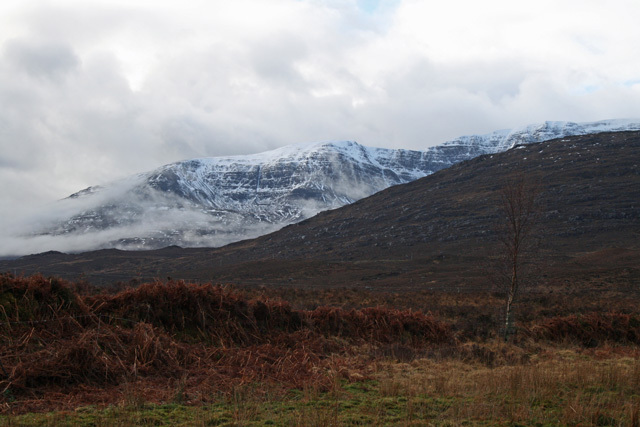 The surrounding area is very popular with hillwalkers and climbers, the nearby Torridon hills with the well known peaks of Beinn Alligin, Sgurr Mhor, Liathach and Beinn Eighe, are available for the more experienced, whereas the estate itself offers areas for the less experienced. 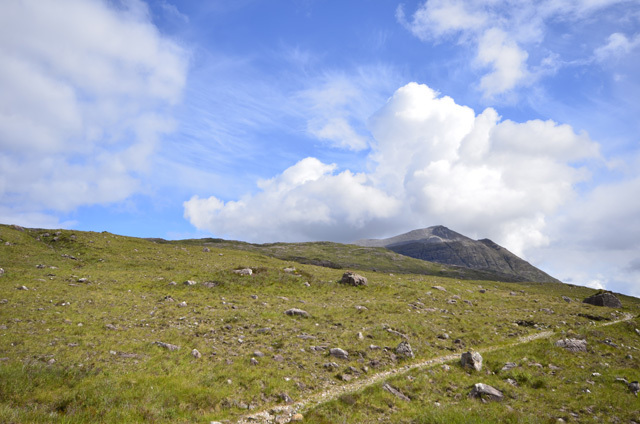 There are various mountain tracks and walks in the vicinity, these include the walk that runs from Inverbain near Shieldaig across country to the village of Applecross. 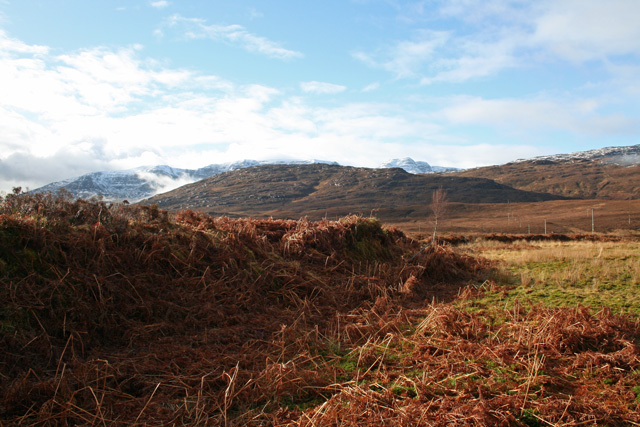 The quiet forest and road network in the area is also ideal for the mountain bike enthusiast. 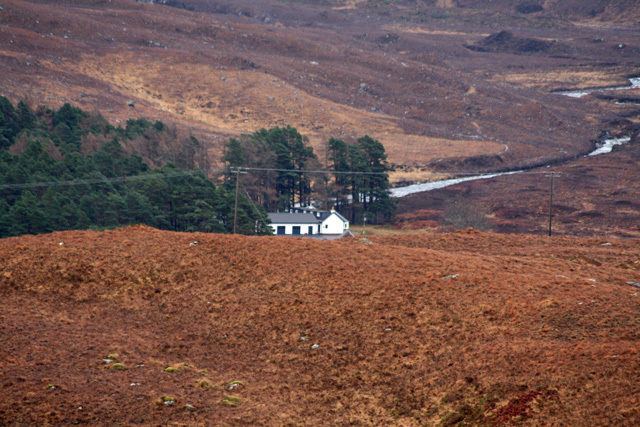 The small villages of Lochcarron (8 miles) and Shieldaig (6 miles), are the main population areas, the larger Lochcarron offers a few shops, including a butchers and a large supermarket, and a couple of restaurants. Shieldaig has a couple of small shops, a bar and the Coastal Kitchen Restaurant. Closest to the property is Kishorn it has a small craft shop and a seasonal Seafood Restaurant. 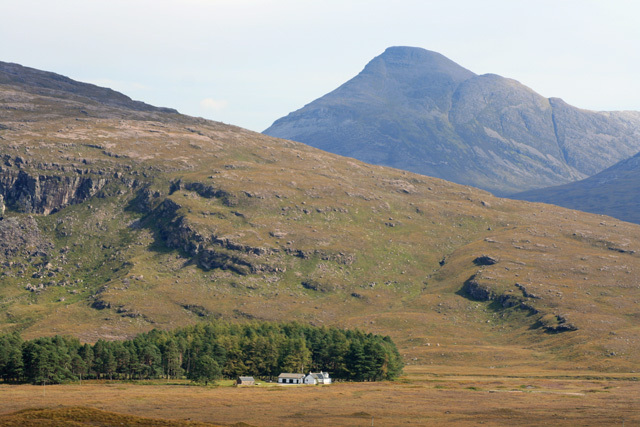 Further afield the ancestral home of the Lovelace family Torridon House, now called the Torridon an upmarket hotel with a fine dining restaurant, and its neighbouring Inn, both worth a visit for a special occasion or a less informal event. The resident chef uses the best of local ingredients including freshly caught seafood and venison in many of his dishes. 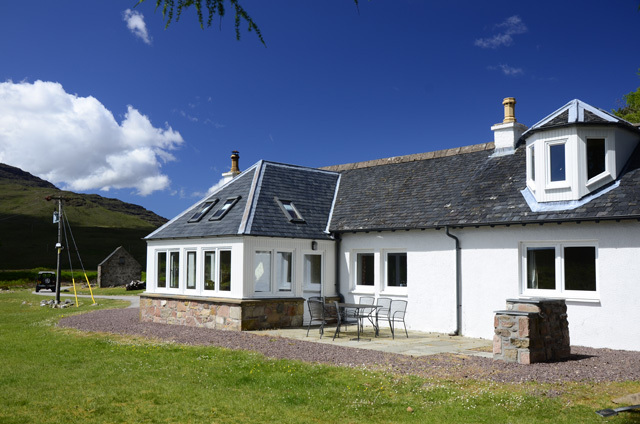 For the food lover the village of Applecross with its renowned pub is a must do, accessed via the Bealach na Ba, “pass of the cattle”, the highest mountain road in the British Isles, or the longer coastal road from Shieldaig. 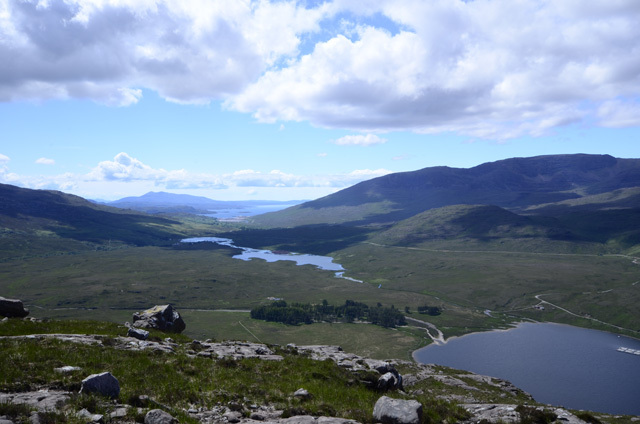 The views from either route are quite spectacular and on a clear day the Islands of Raasay and the Cuillin mountains on Skye are clearly visible. 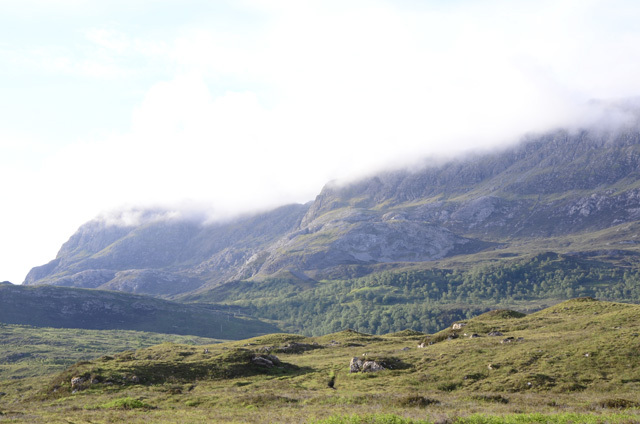 An ideal day out is to take the circular tour, accessing Applecross from the Bealach and travelling back along the coastal road to Shieldaig. On the route you’ll pass Sand Bay, made famous by the BBC when it filmed the reality television series Monty Halls’ Great Escape there. 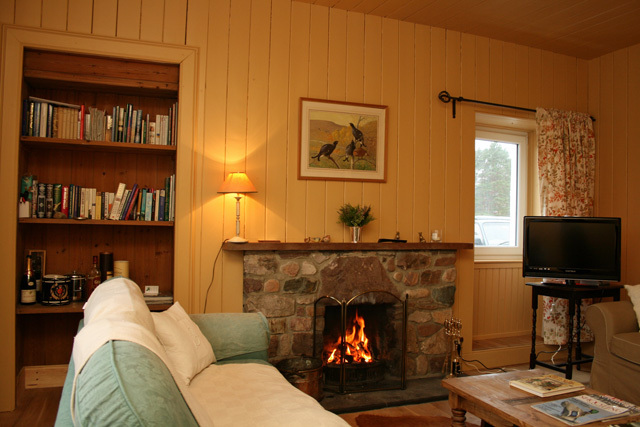 Lounge with an open fire, has views over the surrounding countryside through double aspect windows. 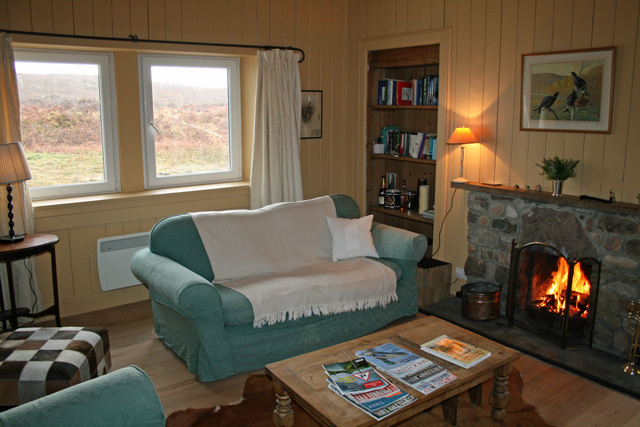 Comfortable seating, TV with Freesat, DVD, iPod dock, CD player and a selection of DVDs and CDs plus plenty of reading material. WiFi access, please bring your own laptop. 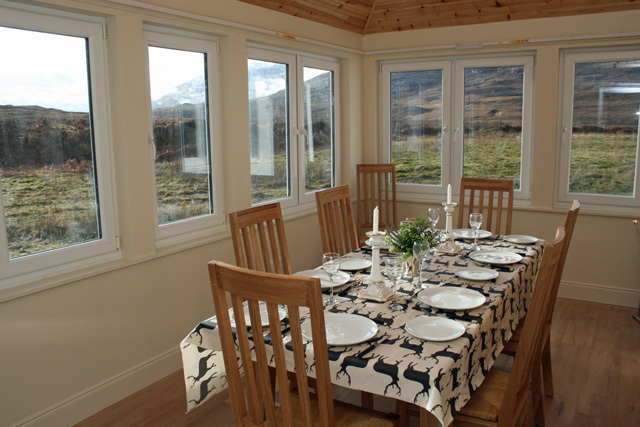 Dining room - conservatory with stunning views from all windows. Seating for up to 8 people. Access to patio and barbeque area. Drying room - has a washing machine, tumble dryer, fridge, adequate storage for coats, boots, fishing rod etc. Gun cabinet for use if stalking on the estate. Access to separate garage area. Bathroom with whb, wc and shower cubicle with electric shower. Heated towel rail. Stairs leading to two upstairs bedrooms. 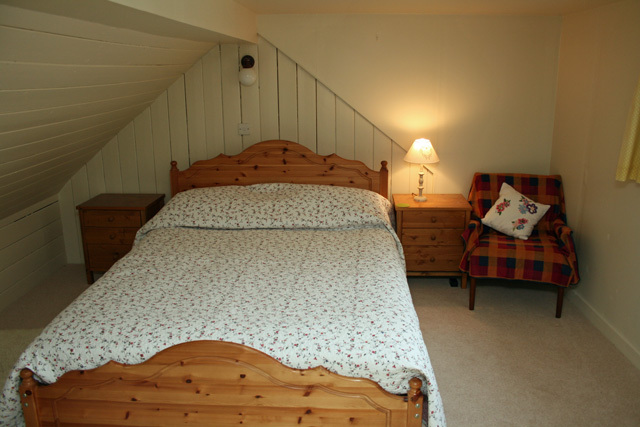 Twin bedroom, and one double bedroom. 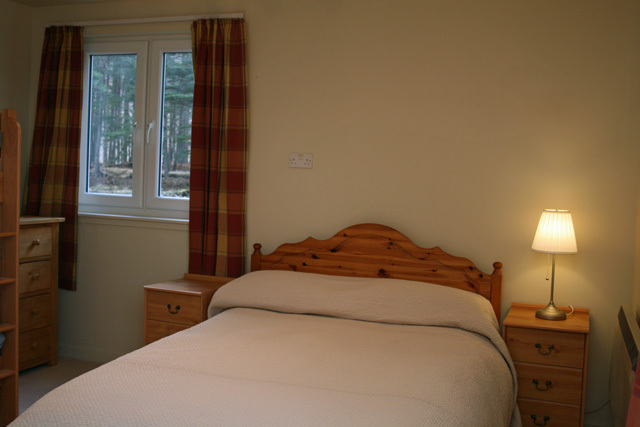 Both rooms look to the rear of the lodge toward the loch. Bathroom with sit in shower, wc and whc. 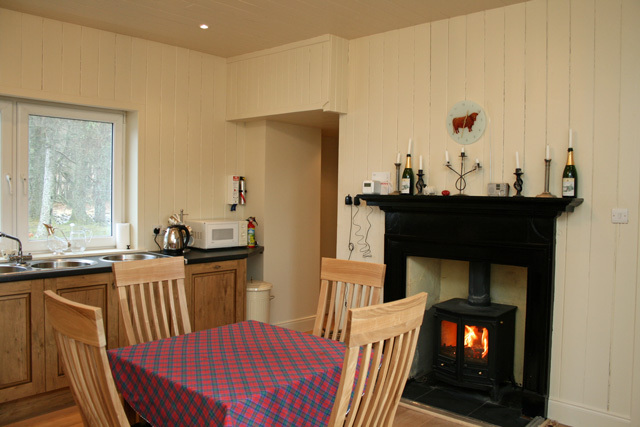 Large fully equipped kitchen with wood burning stove. Electric oven and hob, fridge/freezer, microwave, dishwasher and all the usual kitchen appliances. Extra storage room. Small dining table. 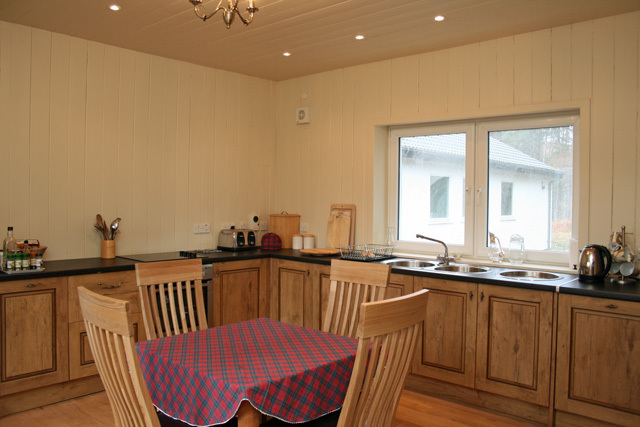 The kitchen has lovely views toward Loch Damph and overlooks one of the patio areas. 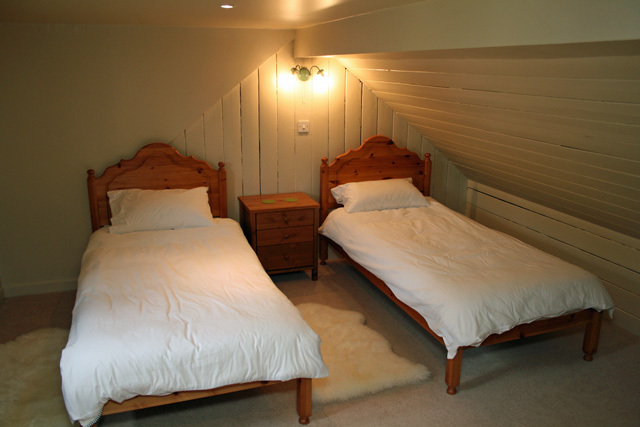 Downstairs bedroom with double bed and bunk beds (suitable for children). 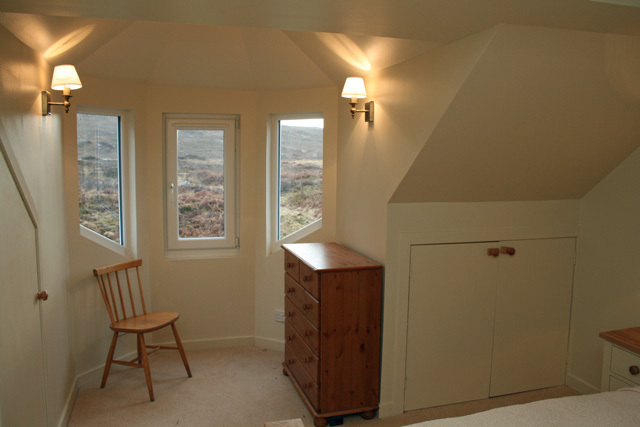 Double aspect windows with views over the surrounding countryside. Stairs leading to master bedroom with king size bed. 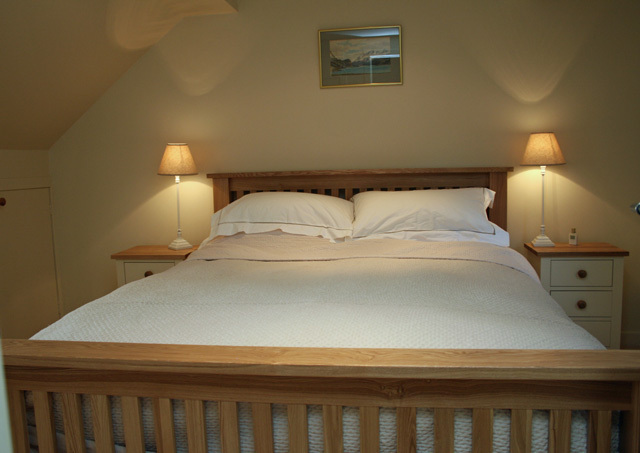 Adjacent bathroom with bath, wc, whb, heated towel rail. Garage area with - table tennis table and skittles. The garage is large enough to store bikes, canoes etc. Deer larder for use if stalking on the estate. Separate toilet. Electricity - heating by electric storage heaters, fuel for fires. WiFi - please bring your own laptop. One pet is welcome at the property. Gas barbecue and stone built barbecue on the patio. Patio table and chairs. Midge eater. 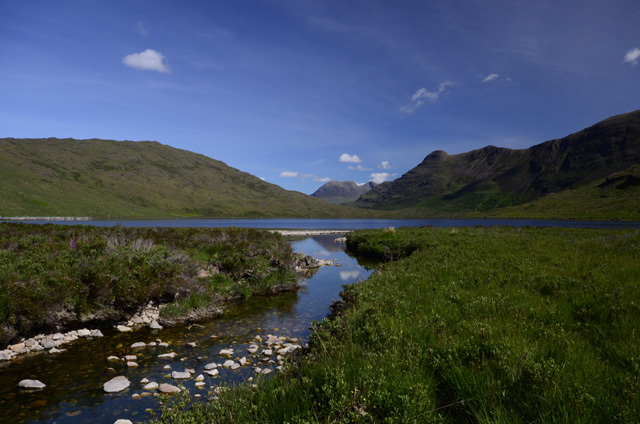 Trout fishing on the river and bank fishing on Loch Damph and the hill lochs. Stalking can be arranged on the estate - further details on request. Access over the whole estate for walking and fishing. 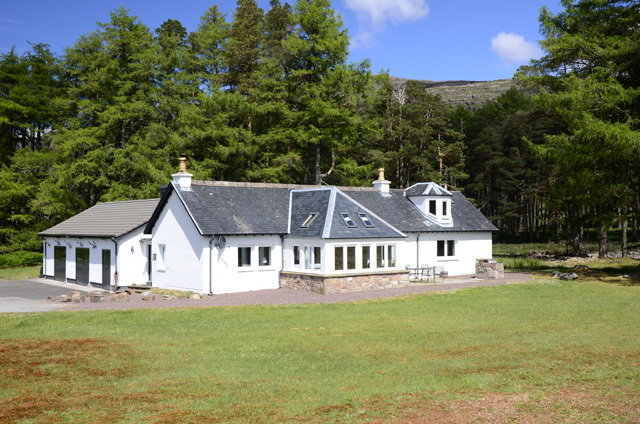 We have just return after spending a fabulous two week in Kinloch Damph Lodge....this review may be a bit bias as we do love Wester Ross....this house is special, it everything you look for in a holiday cottage and more !!!! The views are wonderful, i could have spent the two weeks sitting in the conservatory looking at the views. There is so much to do in the area...The only complaint i have there was NO midgetron and the midges are really really bad....it was a real disappointment.